Our farm is situated about six miles outside the city limits of Burlington, NC on eight acres of old pasture land. Most of the property is wooded. When we moved to the country, it wasn’t our intent to start a farm and grow our own food. We did however, do some landscaping around the house, as I have always loved having flowers. 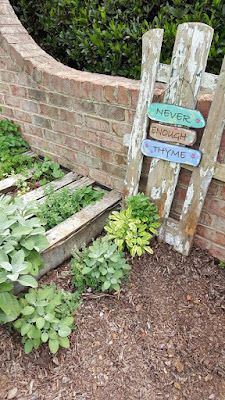 Let’s get back to the pallet garden. After about three years, the wood began to decay. It was definitely time to start thinking about replacing. We decided to replace the pallet with a more permanent structure, and one that would look attractive yet durable. We chose a 4×4 vinyl bed from Raised Beds and it was the perfect solution. This bed was so easy to assemble, taking only a few minutes, and now gives the space a pretty and crisp look. I have Lemon Balm, Marjoram, Thyme, Dill, Oregano, Basil and white Marigolds in this bed. 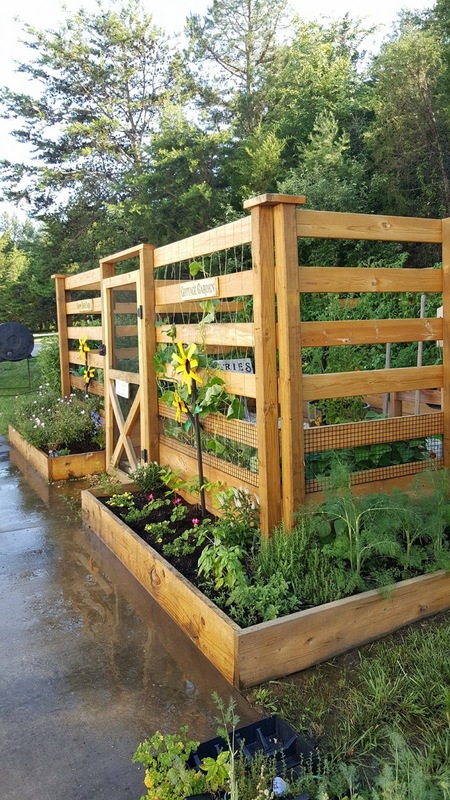 We really like the idea of raised bed gardening. Presently, our family is small, so this suits our needs and is easy to maintain. 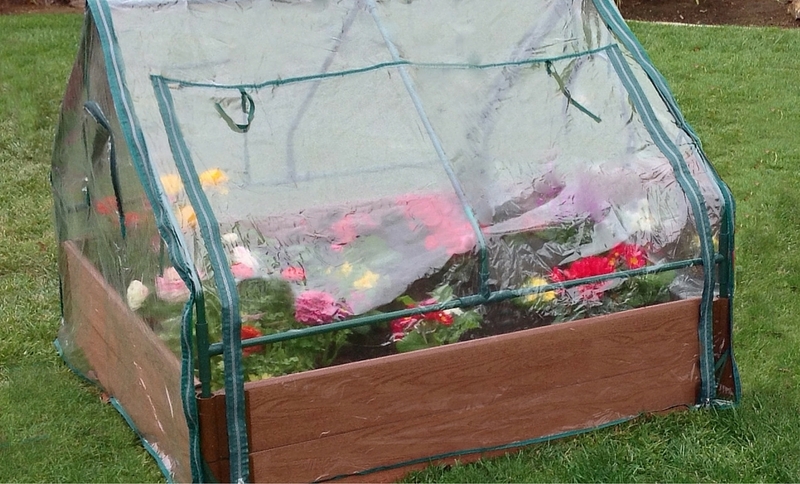 This little garden is placed in an area that we wouldn’t have been able to plant very easily. We put some landscaping paper down, set the garden frame on top if it, and just filled it with dirt. It was so easy. 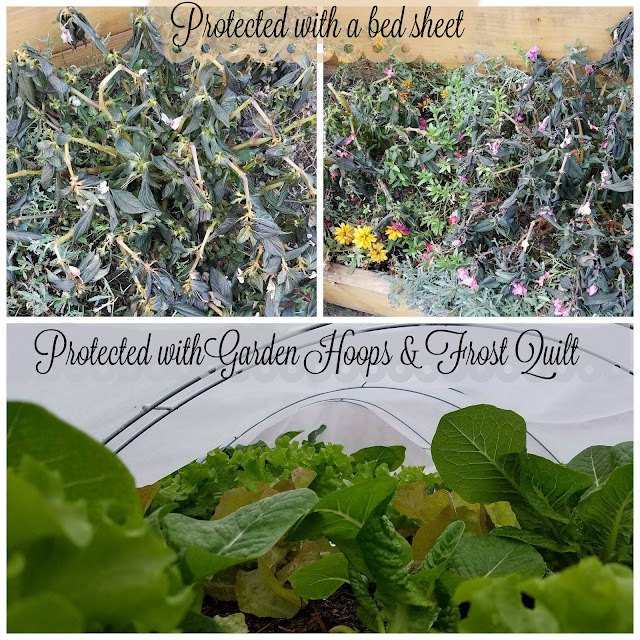 There are so many benefits to having a raised bed versus an in-ground bed. We are just going to discuss a few that we have encountered. 1. In North Carolina, we have so much clay in the soil, and it is hard and very dry. Taking advantage of raised beds means that we can decide on the soil we want to use, and amend it easily. 2. Next, we have extremely hot summers, and being able to situate water-needy plants near a water source saves so much work! Anything that requires daily watering is placed in a bed near a hose pipe. 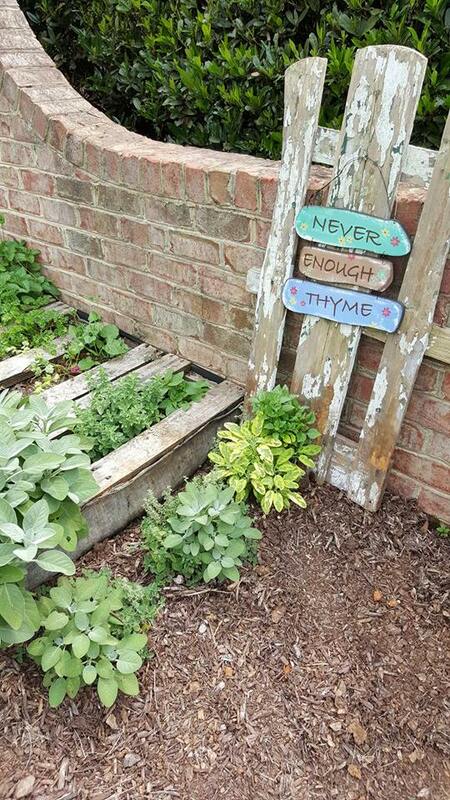 Things like herbs, which are not so needy, can be placed further away in hotter locations. 3. Having a bed so easily assembled means that I can place a finished garden anywhere in my yard with a little bit of planning. The white bed, which came from Raisedbeds.com, was assembled in about 3 minutes, using no tools. Our large bed was constructed in less than a week. 4. The smaller gardens, like the white one pictured in this post, can even have a piece of sheer netting wrapped around it to protect it from bugs like Japanese Beetles, cutting worms, squash bugs, etc. 6. 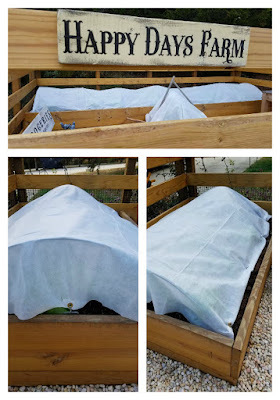 When you are determined to grow an organic garden, this is an excellent way to ensure the fact that your dirt is safe. If you want to place a garden in an area you usually treat with a chemical weed killer, then your plants will be exposed to the left-over chemical residue, and your produce will also. However, placing a ground barrier down, putting in a raised bed, and bringing new soil in, is a great way to have a fresh start. 7. 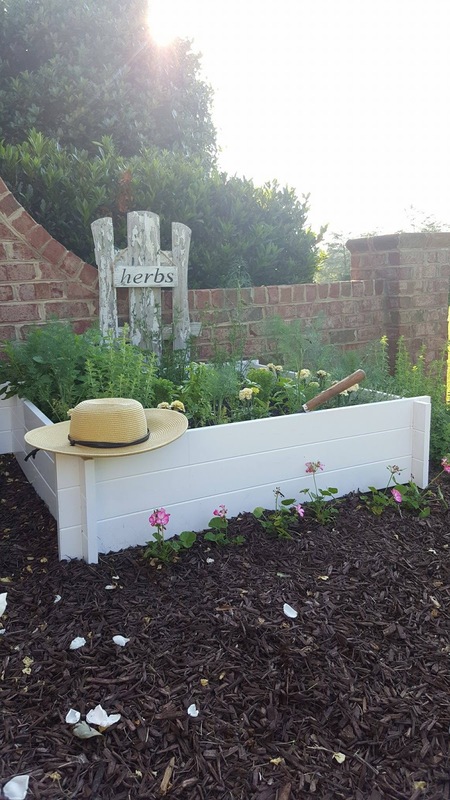 The last point to consider is that a raised bed is an excellent way to get started whether you are a seasoned gardener or a newbie! A small contained area that is easy to maintain is a great way to teach children to plant a seed and watch it develop into a meal that ends up on their plate.